To love and be loved, at a soul level, is a blessing. The forgettable 2012 movie “Student of the Year” (Karan Johar) had a simple song which went on to become quite popular – “Ishq-wala Love”. I was reading a discourse by Osho, the Master, and he explains why “Ishq-wala Love” is different from just plain Love. (I am not sure, going by the lyrics of the song from ‘Student of the Year’ if the lyricist had really heard or read Osho’s discourse!) Osho says that contemporary interpretation of love – thanks to hype-driven traditions like Valentine’s Day – implies that you like or adore someone for their mind, their intellect or their body. He says true love transcends the mind and the body and touches the soul. And he says no English word can ever do justice to describe love that encompasses mind, body and soul – all three dimensions. So, he dips into the Persian language and pulls out the word “Ishq”. It means loving with total intensity. It is often used in a Sufi context and has a celestial, even divine, connotation. 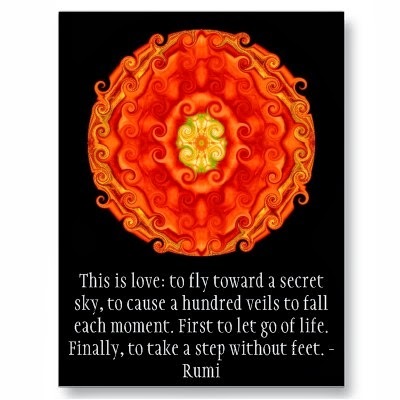 “Ishq” is when you lose yourself in love, when love possesses you, when it oozes from your every pore and makes you go mad, turn fanatic – with which the other word with Sufi origins is closely connected, “Fanaa” – which means to be annihilated in divine love! “Ishq” has a level of unbelievable passion and obsession associated with it, that goes beyond the ordinary and is often hard to describe. “Ishq” comes from the Persian root “a-sha-qa” – which really means an ivy plant that winds itself around other plants. Similarly, the “aashiq” or lover gets entwined with his beloved, in an incomprehensible, inscrutable love. When the lovers are experiencing “Ishq” – they are actually mindless – so they are unmindful of pain, of the sentiments of their families, they don’t care for what society thinks and don’t relate to their surroundings or circumstances. They simply lose themselves – “dissolve” in each other at a soul level. The ancient story of Laila and Majnu has immortalized “Ishq”. Laila was dark-skinned and never considered good-looking. The King of the land who was known to have a harem, which no woman could escape, had rejected Laila. But Majnu loved her. He was in “Ishq” with her. He fought Laila’s rich father valiantly. He ignored the social ostracization that he was subjected to. He refused to forget Laila even after she was married off forcibly. All of this forced the King to send for Majnu. And he asked Majnu why was he so “madly in love” with Laila. Majnu simply replied that the King would “never understand”. Which was the truth. Because “Ishq” does not look at the body, it does not even look at the mind, it does not look at social standing, it is not affected by circumstances. While the King and society looked at Life through all these lenses, Majnu saw only Laila’s soul and saw himself as one with her. So, in the story, Laila dies in another land, succumbing to an illness and Majnu too dies at the same time. (To be sure, there are various versions of this story in circulation – thanks to the creative genius of many story tellers and artists who have tried to bring it alive over the years.) The word ‘Majnu’ has now come to mean someone who is “madly in Ishq”. Valentine’s Day is a good time, as any other, to reflect on the depth of your own love for another or others. If you have been noticing a growing distance between you and someone you once fell in love with, it’s important to go beyond the flowers and the gifts, and enquire within. Maybe there never was “Ishq”. Maybe it is relevant now that you examine if there’s a role “Ishq” can play in your Life. Maybe there’s a need to break-free from a relationship, where there’s no relating anymore, and open yourself to “Ishq”? Whatever you do, or choose not to do, just know that to love this way, beyond mind and body, at a soul level, is a celebration of Life – and “Ishq-wala Love” indeed is a blessing.